This group oversees the Skate Park together with the Play Area at Winscombe War Memorial Recreation Ground and Winnowing End, Sandford, to and with the Community Shelter at Winscombe Community Centre. This photograph shows the Sandford Play Area. 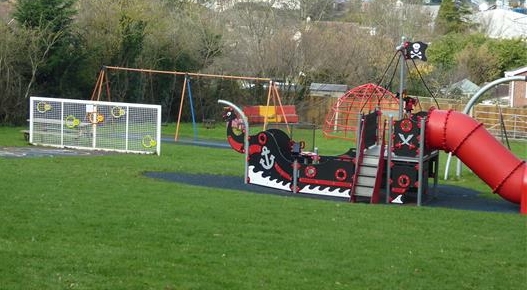 Note that the Observatory Field Play Area is maintained by North Somerset Council.